﻿ Home | Tung Hoi Jewellery Co. Ltd.
About Tung Hoi Tung Hoi Pearl Company was established in 1983. With over 20 years experience in the Chinese freshwater market, we are noted for staying with the latest trends and responding quickly to market needs. 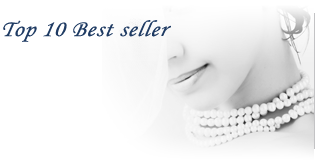 We are always able to provide the best quality pearls at competitive price to our customers. We have 400 workers in our factory located in Shan Wei, Guangdong, China. With our processing capacity and high-tech, we can supply good quality products with high efficiency. As we continuously look into new technologies for improve our production, we can offer you more and more modern and fancy pearl jewelry. As an experienced and good reputation pearl supplier, we have responded promptly to market demand by extending to import Tahiti and South Sea Pearls for many years. We have built up a sound reputation as a world-class pearls supplier who deals with freshwater, Tahiti, South Sea Pearl and pearl jewelry as well. 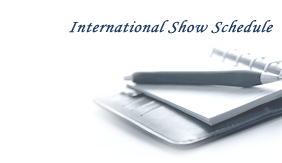 To further expand our market, we also participate in various international jewellery shows every year, like Basel World, Vicenza Fair, Inhorgenta Fair and Hong Kong jewellery show, etc. You will find our name proudly announced at many trade shows and jewellery magazines. Tung Hoi Pearl Company owes its success to the satisfaction given to score thousands of customers. We will be aware of the needs in pearl market and keep improving ourselves to continuously provide you better quality and better price. We promise you exquisite products and prompt delivery. We are looking forward to serve you.